Upgrading from an outdated, manual employee time tracking system is necessary if you want to unburden your HR department and stop wasting your time and money. Here are the 5 most important advantages of using an automated employee tracking system. 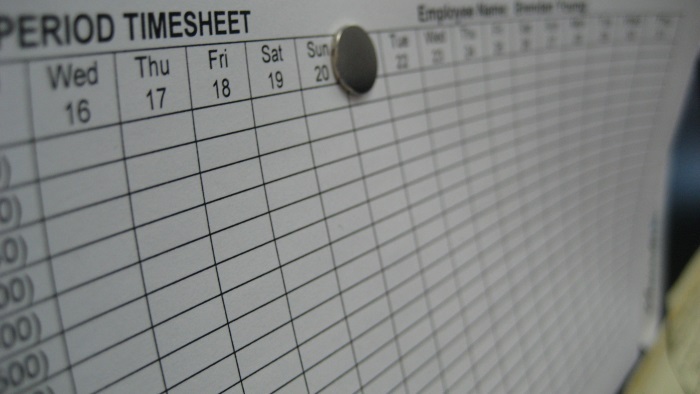 Are you still using a manual employee time tracking system? In order to function optimally, Human Resources departments must have the right tools. Today’s technology offers a great variety of different HR software which can automate, fasten and improve HR operations and processes. One of the most commonly overlooked HR process that can be immensely improved with HR software is a time tracking. If you’re still using the old school, manual way of time tracking, where employees key in their timesheets manually and are then assessed by the HR team, don’t be embarrassed as you are not alone. Thousands of companies across the world still use manual time tracking spreadsheets. Using manual time tracking spreadsheets might not be a perfect solution, but, if you're going to use it, make sure you have the best Free Excel Timesheet Templates at your disposal. Luckily, there are also many reputable organizations such as index time clock that offer automated time tracking systems for you to consider. Time tracking is as important as any other business management task especially if you pay your employees by the hour. It also comes in handy when calculating return on investment. Unknown to many business owners, a huge chunk of money is lost through poor time management and tracking systems. Furthermore, outdated or manual employee time tracking systems put a lot of burden to the HR department consequently wasting more valuable time. Many advantages come with using an automatic time tracking system for your business. For instance, you can get rid of buddy punching, time theft and inconsistencies that come with manual time tracking. Here are the 5 most important advantages that you are missing out that come with an automated time tracking system. Unlike manual time tracking, automatic time tracking is immune to numerous inconsistencies and errors. Large organizations are likely to be affected the most by disparities which sometimes are recorded deliberately by crooked employees. Quality time tracking software ensures that the number of discrepancies is very minimal. Moreover, they discourage the idea of editing recorded data. In this concern, you can control the data you want to record. Automated software discourages employees from skipping shifts, buddy punching, and absenteeism. If you have a great system in place that uses modern technologies such as GPS location tagging and biometric scanning for employees, you can catch the latecomers quickly, and it discourages the habit. When workers know that their time is being tracked, they are less likely to cheat or abscond duty. Automated software does not only wasted by employees at the office but also saves your HR team a considerable deal of valuable time. For instance, if your organization has over 100 employees, the time spent compiling, analyzing and editing errors on timesheets is likely to affect the output of your HR department and other areas. The automated software allows your HR department to work on other important issues consequently affecting the overall performance of the company. Automated software allows you to track your employees' activities in real time. You no longer have to wait for timesheets at the end of a project, week or month. Many benefits come with real-time tracking of employee activities. For instance, you can take note of time theft as it happens and nip the habit in the bud before it’s too late. It also allows you to know who is where during working hours. Unlike manual time tracking, where employees need to fill in their timesheets, bring it to the HR department, get it processed and stored, an automated system allows for everyone to schedule online from their desk and they HR can approve or make recommendations instantly. A computerized system will enable you to know who is on leave, absent with apology, who is working overtime and who is on sabbatical among crucial attendance issues. When you are able to access such information in real-time, it gives you and your employees a chance to plan projects carefully considering their availability. It also allows you to make comments instantly instead of waiting for the lengthy process that comes with paperwork. As mentioned above, manual time tracking is a hectic and time-consuming process that requires a lot of human resources, especially for large companies. With such a workload, it becomes more troublesome for HR department to keep up with the local and state regulations that govern them. Since you don’t want to be at the receiving end when law enforcement decides to strike, upgrade to a modern time tracking software that enables you to keep up with these regulations automatically. Furthermore, the HR department can easily edit leave and time tracking for compliance from their computer with a single click.